US Acute Care Solutions has supported outstanding residency programs for more than two decades, in addition to several rotating sites and multiple fellowship programs. Our core faculty and educational leaders are deeply committed to the advancement of graduate medical education and of emergency medicine as an academic specialty. 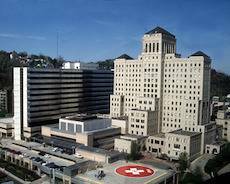 Allegheny General Hospital (AGH) has earned an international reputation for excellence and innovation in education, research and above all, the care of patients. AGH was the first hospital in the region to receive designation as a Level I Trauma Center. A national leader in cardiovascular, cancer, neuroscience and orthopedic and rehabilitation care, AGH offers a wide array of medical and surgical specialties. AGH hosts residency training programs in 22 specialties, as well as fellowships in EMS, EM-Sports Medicine and EM Ultrasound. Academic affiliations are with Drexel University College of Medicine and Temple University School of Medicine. The program hosts 30 EM residents and 20 EM/IM residents. Founded in 1991, Doctors Hospital sponsors 32 residents in a 4-year program. 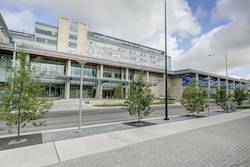 This primary site for the osteopathic residency has affiliated rotations at Grand Medical Center and Nationwide Children’s Hospital and an academic affiliation with Ohio University College of Medicine. The curriculum emphasizes professional/leadership development, cutting edge clinical competency, scholarly pursuits, and physician wellness. Graduates may sit for the certification board offered by either ABEM or AOBEM. Graduates of this program have experienced 100% placement into fellowship and/or employment positions. Initially the program was founded in 1993 and was one of the first programs to attain both AOA and ACGME accreditation in 2007. The program is affiliated with Michigan State University that sponsors 24 residents in a 4-year program format. The programs has affiliated rotations with Hurley Medical center in Flint, Michigan, and William Beaumont in Royal Oak, and Detroit Medical Center. This primary site for an osteopathic EM residency program is currently a 3-year program under ACGME, Ohio Valley will accommodate 18 residents. The program has a 30,000 visit emergency department in the city of Wheeling, WV and a 20,000 volume emergency department in the city of Martins Ferry, OH. The program has an on-site medical library and simulation lab, ultrasound training, and research support. The program is the first Osteopathic program to offer wilderness medicine and EMS administrative direction as part of the EMS rotation. One of the base hospital sites for the osteopathic residency affiliated with the Midwestern University consortium, Franciscan Health sponsors 64 residents among 3 cluster sites in a 4-year program. Founded in 1981, the program also has affiliation with several other hospitals in Chicago. As the largest osteopathic emergency medicine program in the US, there are over 400 graduates practicing throughout the country. This 425-bed hospital with a 68,000 visits/year emergency department is the primary site for the osteopathic emergency medicine residency associated with the Lake Erie College of Osteopathic Medicine, sponsoring 16 residents in a 4-year program that will transition to a 3 year ACGME certified program with 18 residents in 2017. 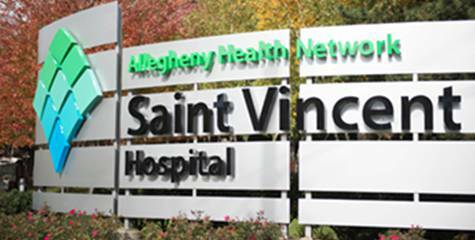 Saint Vincent Hospital is part of the Allegheny Health Network Consortium. The program has affiliations with Children's Hospital of Pittsburgh and Presbyterian Hospital of Pittsburgh as well as the Gannon Simulation Center in Erie. UMC is the primary training site for the allopathic emergency medicine residency affiliated with the University of Nevada School of Medicine. Founded in 2006, the 3-year program sponsors 30 residents, and is one of only 4 EM residencies in the country affiliated with the US Air Force. The department is comprised of dedicated academic and clinical faculty with a passion for education, evidence-based practice and high quality care. The ED cares for a diverse population and features frequent utilization of bedside ultrasound and video laryngoscopy. 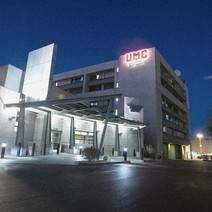 With an annual volume of over 120,000 patients, UMC is the only public, non-profit hospital in Clark County and is the only Level-1 trauma center in the state of Nevada, as well a Level-2 pediatric trauma center and burn center. Emergency Service Partners, a founding partner of US Acute Care Solutions, collaborated with the Seton Healthcare Family and what is now the Dell Medical School at the University of Texas to establish Austin’s first emergency medicine residency program in 2012. In just a few short years, the new residency established itself as a national powerhouse program, regularly attracting more than 1,000 of the best candidates from across the country. The three-year program proudly received a full 10-year accreditation from the ACGME in 2014 and now trains a total of 24 residents in the self-proclaimed "live music capital of the world." Residents are based at Austin’s only Level I adult trauma center, Dell Seton Medical Center, but also spend time training at Seton Medical Center Austin, Dell Children’s Medical Center of Central Texas, and Seton Highland Lakes Hospital. Contact USACS to learn more about our residency programs.